Click here to visit our website for merchandise, news, and more information! 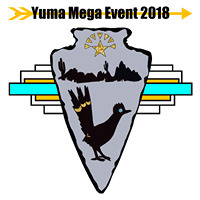 Since 2003, S*W*A*G has held this annual event that has blossomed into becoming the largest geocaching event in southwest Arizona. The event has grown from a mere 35 attendees in its first year to around 1000 attendees in 2014!